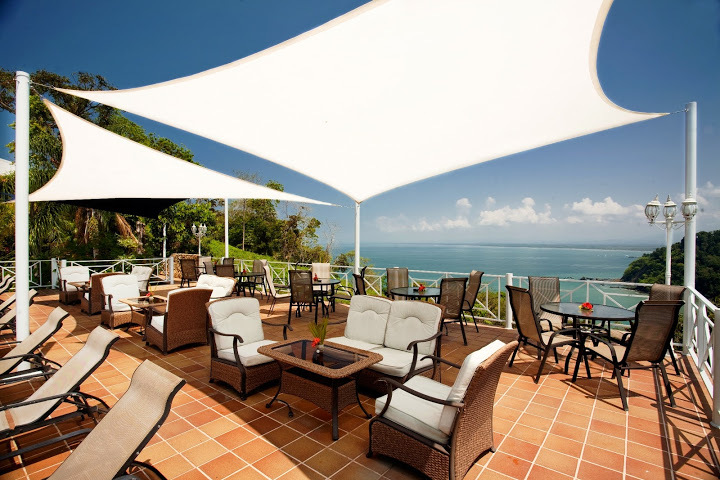 Welcome to La Mansion Inn, one of the most exclusive destinations in Central America.La Mansión Inn is situated on a mountainside overlooking the Pacific Ocean and Manuel Antonio National Park. The interior displays a wealth of original paintings by some of Costa Rica’s top artists. An eco-friendly project, water at the Inn is heated by solar energy. 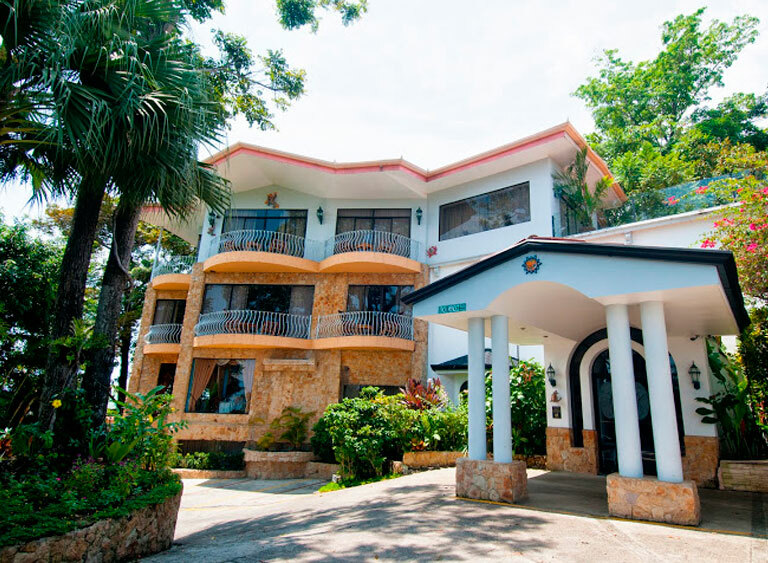 The suites and rooms are anything but “standard”. Beautifully decorated, all are air conditioned and have bathrooms, a dresser, television, ceiling fan, outside sitting area and desks. 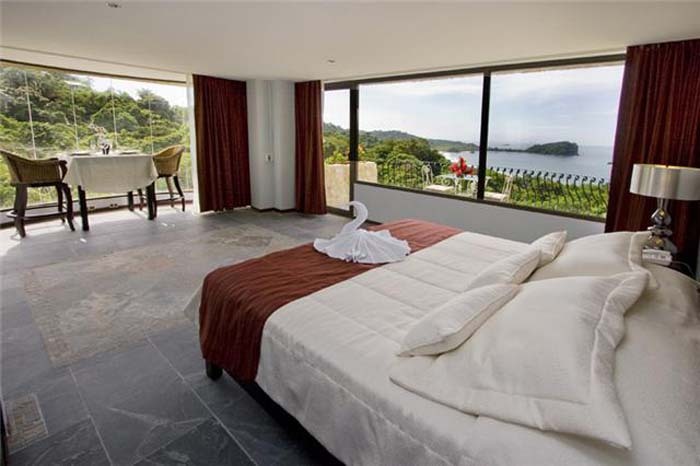 Every room has sliding glass doors which open to incredible views of the Pacific Ocean and surrounding jungle. 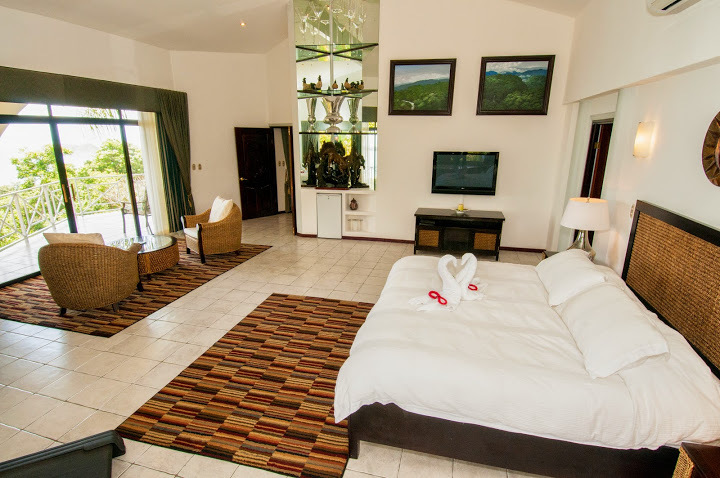 Presidential Suite – Without a doubt one of the most tastefully and largest presidential suites in all of Costa Rica. 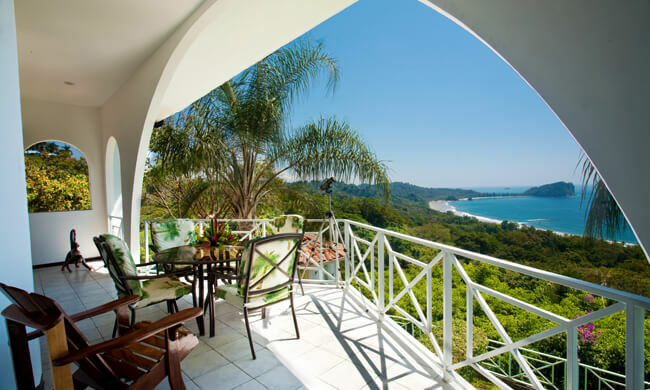 Lavishly furnished, the main bedroom comes with a Jacuzzi complete with 24 carat gold faucets, double headed shower, bidet, coffee-maker, first-class works of art, very large connecting balcony and a spectacular and unforgettable view of the Pacific Ocean. Imagine a backdrop of verdant jungle an the mesmerizing waves of the Pacific Ocean. Picture some uninvited guess like Titi Monkeys, Sloth’s, some White-faced Monkeys and hundreds of different birds and butterflies “crashing” your wedding party. Now add the spectacular Christopher Columbus Honeymoon Suite with a twin-headed shower, Jacuzzi, all with 24 karat gold faucets, breakfast-in-bed with caviar, salmon and champagne and you have set the right stage for one of the most important days of your lives…!